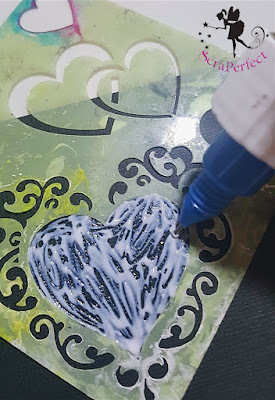 card pop with with dazzle using products from Scraperfect. 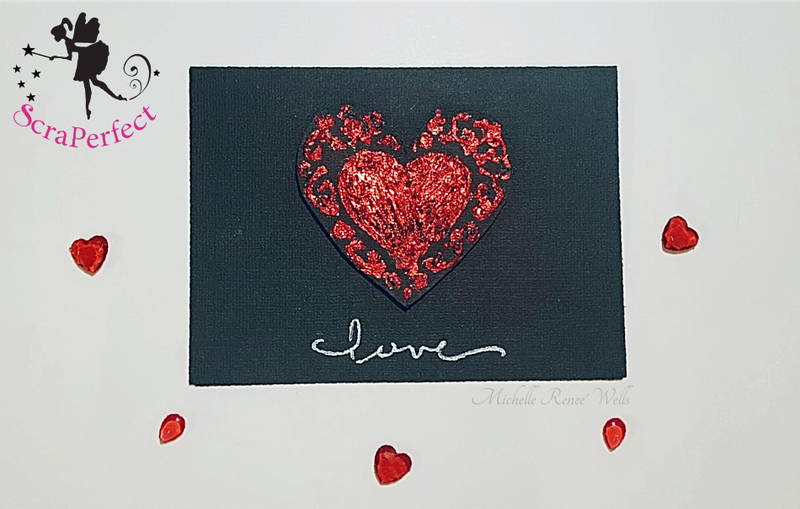 For the heart design, I used a small piece of textured cardstock as my base. Holding the stencil firm on the cardstock, I used the Best Glue Ever with a No-Clog Writing Cap, and filled in the design, being careful to raise the stencil once complete, trying not to smudge the glue design. 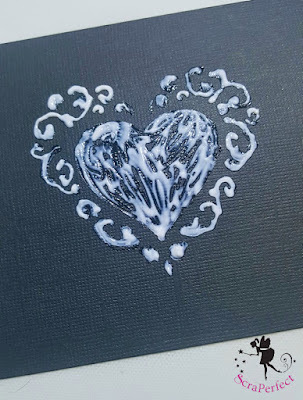 I used my heat tool to set the glue a little more quickly, to form a clear finish and solid tack. 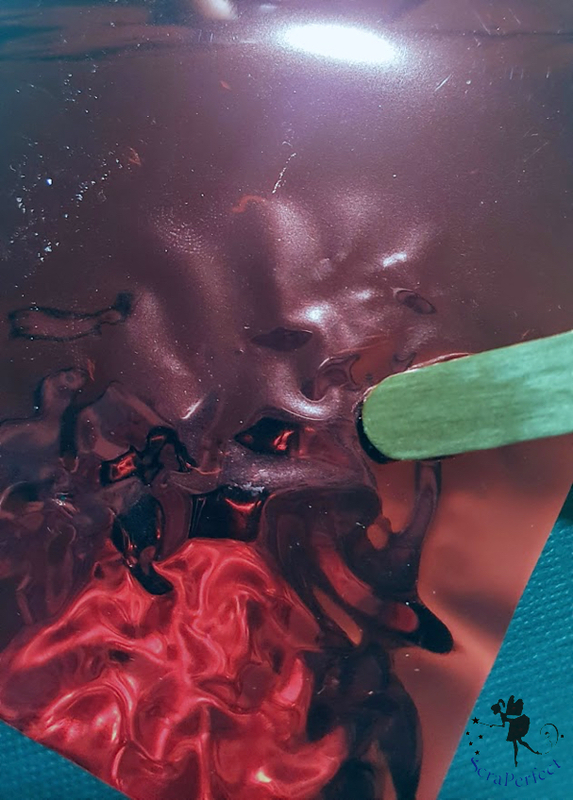 transfer (rub) the foil finish to the glue. 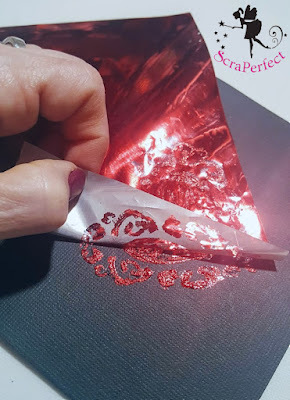 Then I very gently began to peel back the foil, away from the glue. 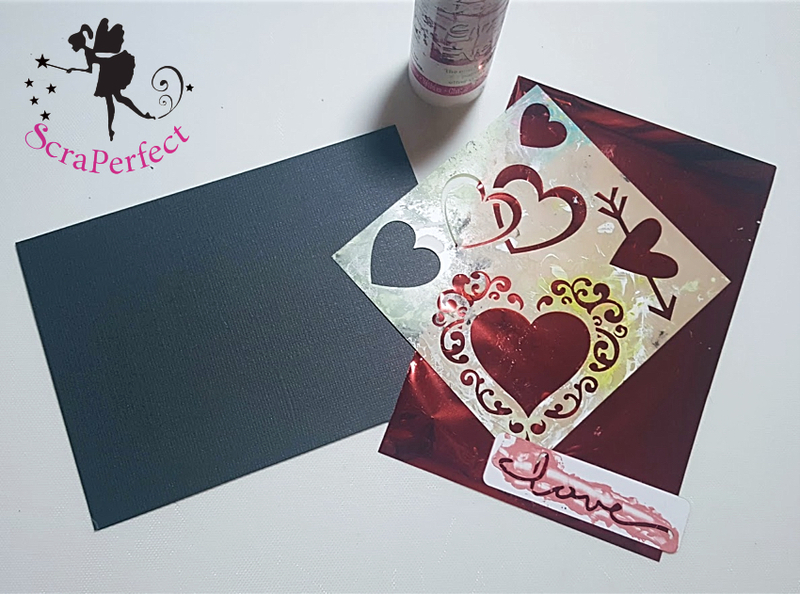 Once the transfer was complete, I fussy cut the heart and applied it to the 4x6 card base, using double sided foam tape. 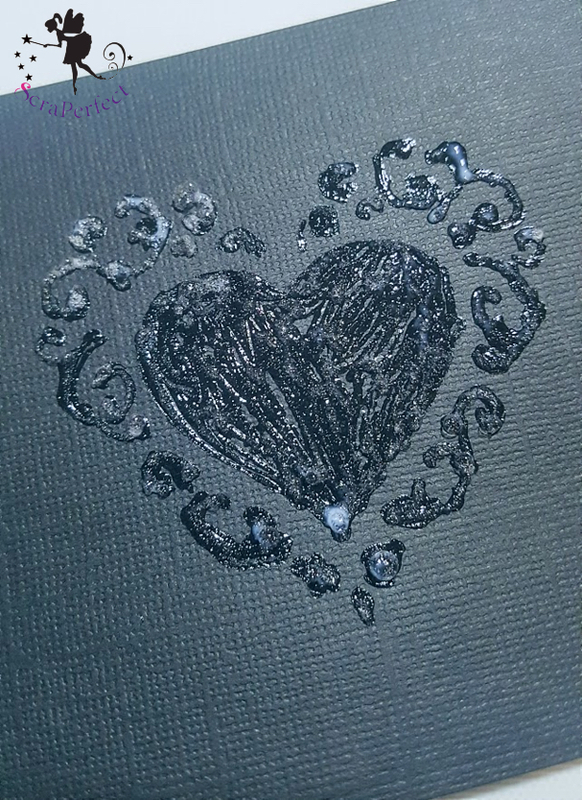 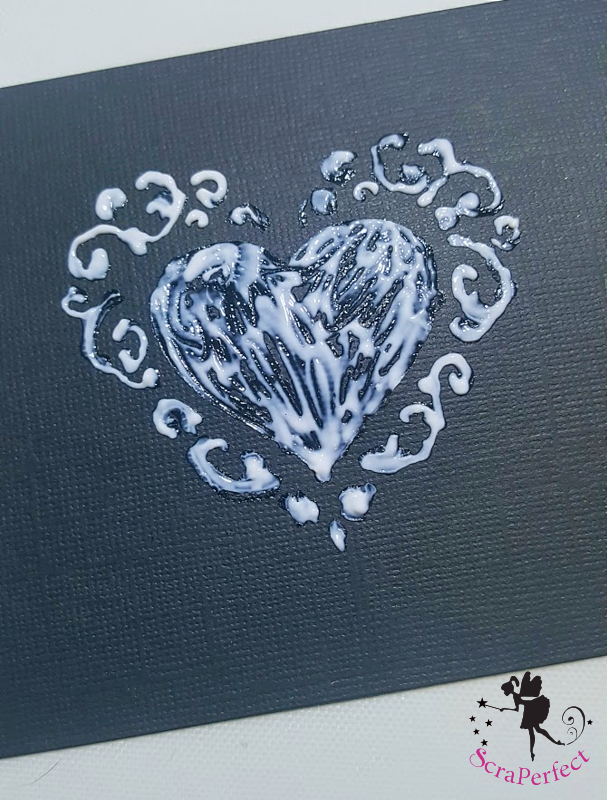 To finish, I used a small word stencil (love) along with a silver glitter gel pen, to give a sentiment that popped. That was so easy! Yet with the foil and glitter dazzle, it looks as though it took time to put it all together! 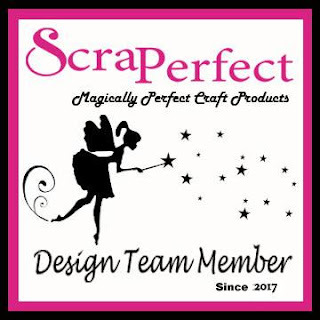 Do you follow ScraPerfect on social media? 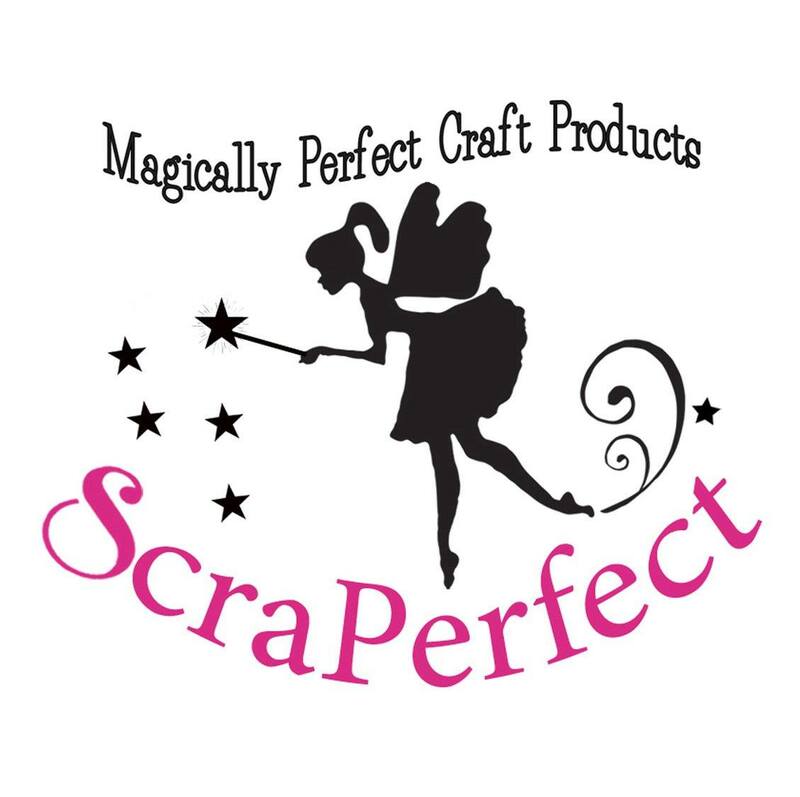 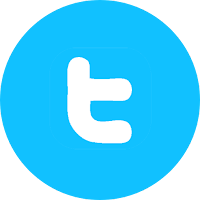 Find us on Facebook, Twitter & subscribe to our blog right here! Stay up to date with with new product releases, new projects, and so much more!